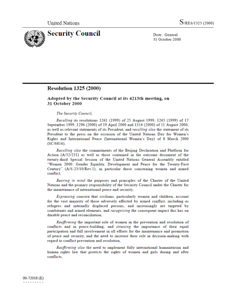 In accordance with Chapter VI of the Charter, the Security Council, as the organ of the United Nations invested with primary responsibility for the maintenance of international peace and security, shall, when it deems necessary, call upon the parties a dispute of the nature described in Article 33 to settle it by the means listed in that Article. Article 36 of the Charter provides that, at any stage of a dispute of the kind described in Article 33, the Security Council can recommend to the parties appropriate procedures or methods of settlement of their dispute, which may include mediation. In accordance with Articles 37 and 38 of the Charter, the Security Council also has the power to recommend terms of settlement to the parties, if they request this or if the Council considers that the continuance of their dispute is in fact likely to endanger the maintenance of international peace and security. In accordance with Article 29 of the Charter, the Security Council may establish subsidiary organs as a means to promote the peaceful settlement of international disputes. It has used this power to establish subsidiary organs to carry out mediation. Regional and sub-regional organizations play an important role in the peaceful settlement of disputes. In accordance with, Article 52 of the Charter, the Security Council should encourage the peaceful settlement of local disputes through regional organizations and may refer such disputes to them. The Security Council focused on the topic of mediation and the settlement of disputes in its high-level debate in 2008 and in an open debate in 2009. 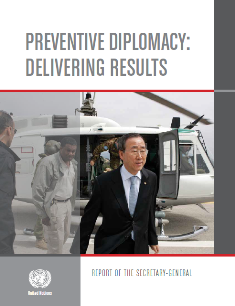 In its Presidential Statement of 23 September 2008 (S/PRST/2008/36), the Security Council underlined 'the importance of mediation as a means of pacific settlement of disputes, and encourages the further use of this mechanism in the settlement of disputes'. The Council stressed its determination to make greater and more effective use of “negotiation, enquiry, mediation, conciliation, arbitration, judicial settlement and resort to regional and subregional organizations and arrangements, as well as the good offices of the Secretary-General”. This Security Council resolution strengthens the implementation of Security Council resolution 1820 (2008) by assigning leadership on the issue of conflict-related sexual violence within the United Nations and establishing effective support mechanisms. Security Council resolution 1888 (2009) emphasized the need to address sexual violence from the outset of peace processes and mediation efforts, calls for the establishment of a rapid response team of judicial experts and an improved monitoring and reporting mechanisms on trends, early warning indicators and patterns of attack.